I suspect there are many reasons why people attend church. Some go to church because it is in their culture—church has always been a part of their lives. Others go to church because to meet people. Their attendance is purely social. Others go to church to get help with their lives. Still many go to church to build their relationship with God. Peter wrote his two letters to the church composed of scattered Christian Jews. Certainly, they formed a church and met regularly. Peter was writing to the dispersed church to encourage them in their lives and mission. So, what is the church and what is its purpose. The Greek word ekklesia refers to an assembly of people. It was culturally used in a political, not religious, sense. As such, it did not refer to the people, but the meeting of the people. According to Ryrie, “when the people were not assembled formally they were not referred to as an ekklesia.” This idea of ekklesia is used in Acts 19:32 and 41. We see the word used in a broader sense in the New Testament. For example, the people themselves, whether assembled or not, are called the ekklesia. I have heard it said that we don’t go to the church; we are the church. Thus, the church is not a building; rather, it is a collection of people meeting together for a specific function. Churches have different forms. Forms are the way that churches meet their primary mission. There are big churches and small churches. There are churches that are program driven and there are simple churches. The Bible does not tell us the form the churches should take. This is to be determined by each individual body of believers. But the Bible does give specific guidance regarding the function of the church. The Bible provides very specific functions that each church body must accomplish as part of their mission. For this reason, the mission and vision statement of most Christian churches are very similar. The primary functions of the church are given in Acts 2:42. The early church “continued steadfastly…” This means they exhibited intense effort in their church lives. They were not slackers. The implication is that they were devoted to the church and worked hard despite any difficulties they faced. They persisted in their efforts within the church. We saw early in Acts that they “all continued with one accord in prayer and supplication…” (Acts 1:14). The church was devoted to four distinct functions. Each function is important in protecting against very real issues facing the church (then and now). They were committed to maintain sound doctrine—as originally taught by the Apostles. Paul taught about the importance of sound doctrine. He taught that we should not remain silent regarding false teachers. It is up to those in the church to recognize heresy “that is contrary to sound doctrine” (1 Timothy 1:10). A heresy is any teaching that is contrary to the sound doctrine presented within the Bible. Many false teachers are in the church who are teaching false doctrine. Those in the church need to recognize it and take appropriate actions. Paul told Timothy to “Hold fast the pattern of sound words which you have heard from me…” 2 Timothy 1:13. There are many who fall away from sound doctrine and follow heresy; Paul implores Timothy to remain true to Scriptures “in faith and love which are in Christ Jesus” (2 Timothy 1:13). Each church should be a place where the Word is preached. Paul says we should be ready in season and out of season. Our teaching should convince, rebuke, and exhort. But people are becoming increasing uneasy with this form of teaching. They are falling into heresies that lead them to bring teachers into their churches that no longer teach sound doctrine. By doing so, we protect the church and its people against heresy. The second function of the church is to remain steadfastly in fellowship. Our fellowship is with God and with other believers. God faithfully called us into fellowship with Son, Jesus Christ our Lord (1 Corinthians 1:9). John tells us “our fellowship is with the Father and with His Son Jesus Christ.” (1 John 1:3). If we don’t steadfastly pursue our fellowship with God, we can become isolated from God. This passage demonstrates the urgent need for mutual concern and exhortation. Without fellowship, people lose their motivation. We meet together to “stir up love and good works.” Can these things happen without fellowship—without meeting together? Perhaps, but most unlikely. We need to meet together to exhort one another especially as we see the Day of the Lord approaching. We must meet together and consider one another so we do not lose faith and stray from Godly fellowship. By doing so, we protect the church and its people from becoming isolated. Jesus told us to do this ceremony as a remembrance of Him. We tend to forget things quickly. We are prone to modify and change so we can have variety. But Jesus wanted us to do this very specific ceremony in the same way—always. We are not told we need to do this ceremony every time we meet. This would make it rote and it would lose its meaning. But if we celebrate too infrequently, then we tend to forget—we don’t keep the work of Christ in front of us. There is a balance. At TFL, we have share in the Lord’s Table six time per year. This seems to work for us. Again, the form is not specified; the function is. We must steadfastly participate in the breaking of bread. By doing so, we protect the church and its people from forgetting the work of Christ. Oh! The importance of prayer. Prayer is the only way we can be empowered by God. 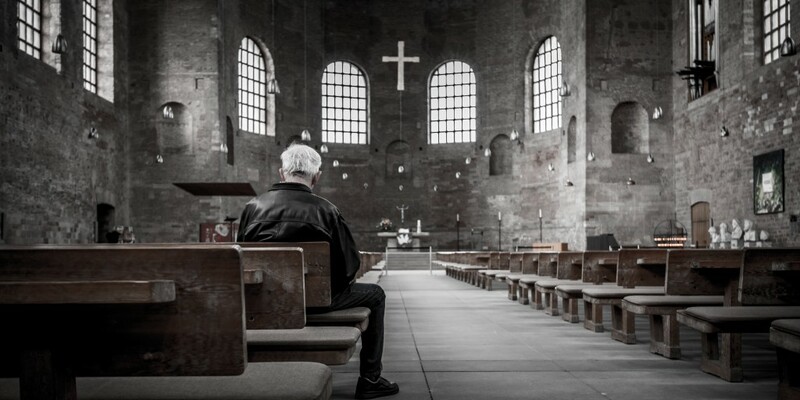 Without an active prayer life, the church will falter. Prayer builds unity within the body. The early church “continued with one accord in prayer and supplication…” (Acts 1:17). When they prayed, things happened. We see from Acts 4:31 that when they had prayed, the building in which they assembled was shaken. In addition, they were filled with the Holy Spirit. Our filling with the Holy Spirit is a continuous process. We are commanded to be filled with the Spirit (Ephesians 5:18). We are to be controlled by the Holy Spirit instead of ourselves. This happens primarily through prayer. When we are filled with the Holy Spirit, we will be empowered to do the work God has prepared for us (Ephesians 2:10)—we will not be powerless. By doing so, we protect the church and its people from powerlessness. These are the four areas we emphasize at TFL. We encourage all in our church to participate regularly in these four areas. We emphasize the direct teaching of the Word of God each Sunday. We purposefully have a time of corporate prayer during our Sunday morning worship service. We celebrate the Lord’s Table regularly and deliberately—for us the Lord’s Table is not an add-on to our service. Finally, we have a small group that meets twice per month and we have regular times of sharing meals together in what we call Fellowship Dinners. We are protecting the church and our people from heresy, from isolation, from forgetting, and from powerlessness. How are you doing? Are you taking advantage of these opportunities? Ryrie, Charles Caldwell. Basic Theology: A Popular Systematic Guide to Understanding Biblical Truth. Chicago, IL: Moody Press, 1999. Print. No Replies to "Purpose of the Church"